Hypoplastic left heart syndrome (HLHS) is a congenital heart disease, which, despite the current improved knowledge about its management and surgical treatment, is still associated with high mortality, especially in the early neonatal period and before the second stage of reconstruction surgery. The low rate of prenatal diagnosis and delayed diagnostic suspicion results in unsuccessful therapeutic intervention, even though the real impact of early diagnosis and intervention on mortality and quality of life of patients is still uncertain. Fortunately, this syndrome of challenging treatment is not that frequent. It involves a spectrum of obstructions to the blood flow within the left heart and is characterized by an inappropriate size of the left ventricle associated with a wide variety of valvular dysfunctions. Treatment ranges from heart transplantation to palliative surgical procedures. 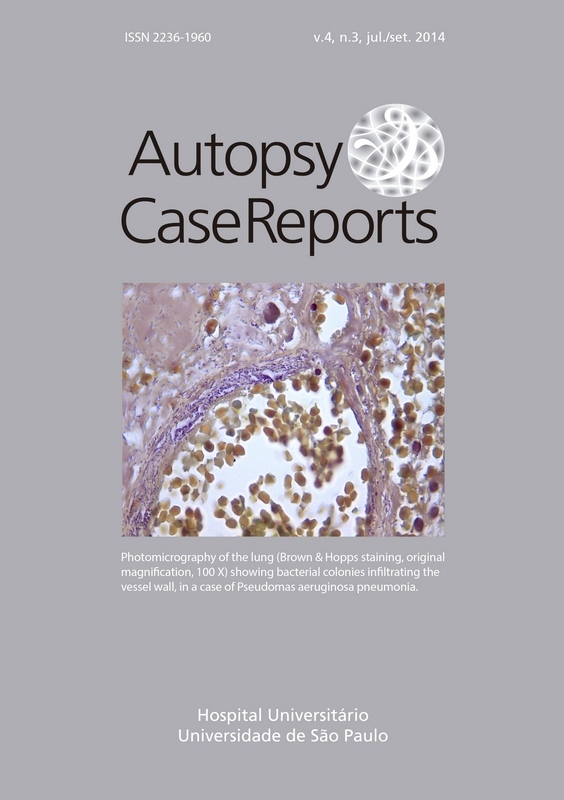 The authors describe a case of a newborn with HLHS, whose diagnosis was made after birth because of early respiratory failure. Despite the use of prostaglandin the newborn died. An autopsy was performed and the anatomical findings were described.